World Muaythai Council » Luca Falco Becomes the New WMC Intercontinental Champion! Luca Falco Becomes the New WMC Intercontinental Champion! 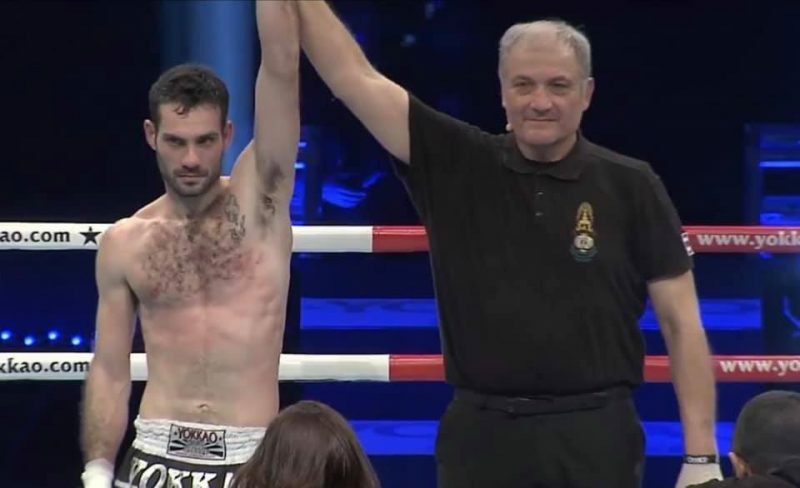 Saturday the 26th of January in the picturesque city of Turin, Italy played host to Yokkao 35 and 36 in the PalaRuffini Arena. The card featured a multitude of muaythai celebrities including former 3 time WMC champion Saenchai, WMC champion Liam Harrison and WMC S1 Champion Sudsakorn. Fighting for the WMC Intercontinental 63.5kg Super Light weight title Yokkao’s own rising star Manachai from Thailand faced Luca Falco from Italy. The fight began with an explosive start with Falco landing some big shots in round 1 then round 2 saw Manchai landing some heavy kicks and picking up the pace before dominating Round 3. Round 4 started off well with Manachai in control but unfortunately ended prematurely as the man from Thailand sustained an injury to his ankle when putting his foot down rendering him unable to get back up and resulting in the the win going to Luca Falco. The WMC would like to congratulate Luca Falco on his victory as he heads home with his shiny new belt and a big smile on his face. This entry was posted on Monday, January 28th, 2019 at 5:04 PM	and is filed under News.